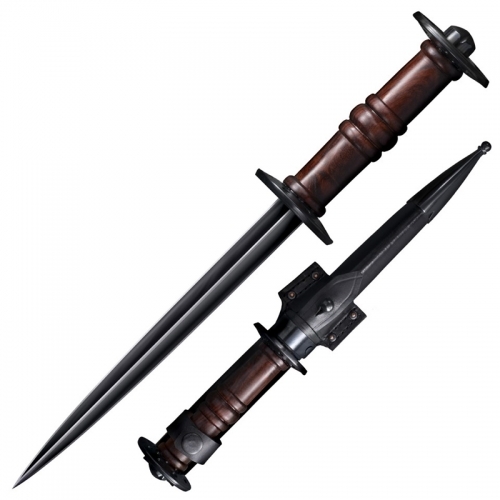 You will be absolutely combat ready with the Combat Commander Spartan Sword in your hands. 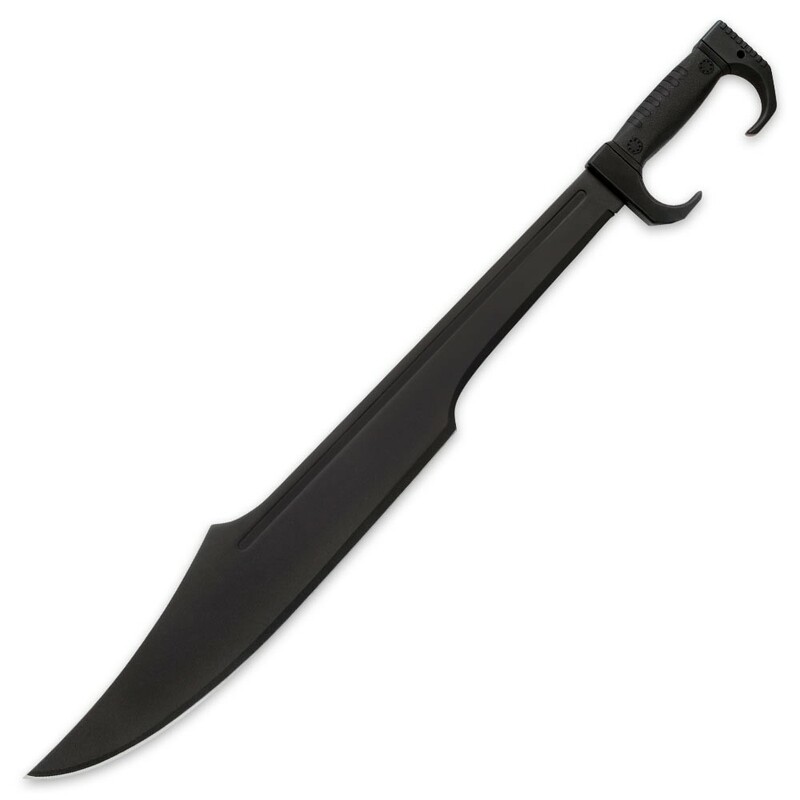 Originally used by the mighty Spartans, the full-tang, 23 1/2″ sharp blade is of 1050 carbon steel and has a black hard coating finish. 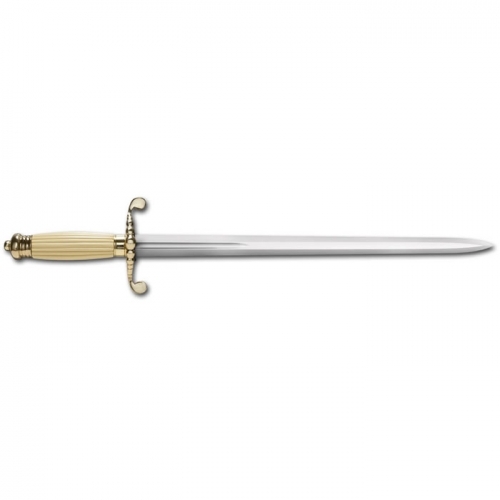 The handle is fiber filled ABS with a soft textured TPR covering and is as tough as they get! 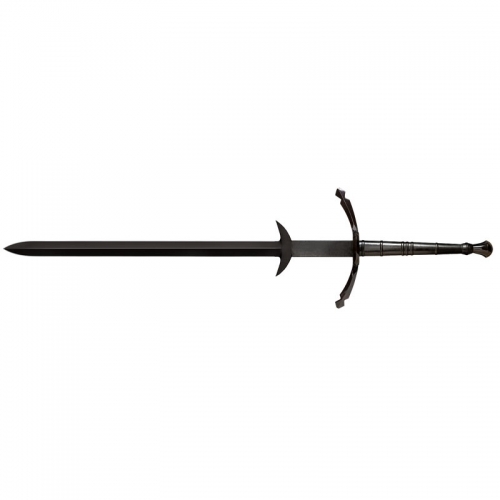 A nylon sheath with a protective PVC liner lets you house it with ease. 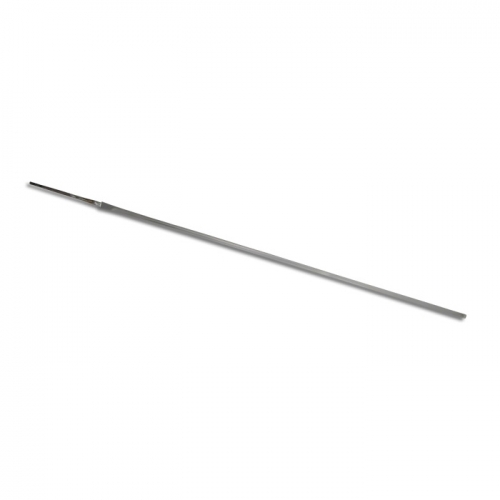 It is 29 3/4″ in overall length.